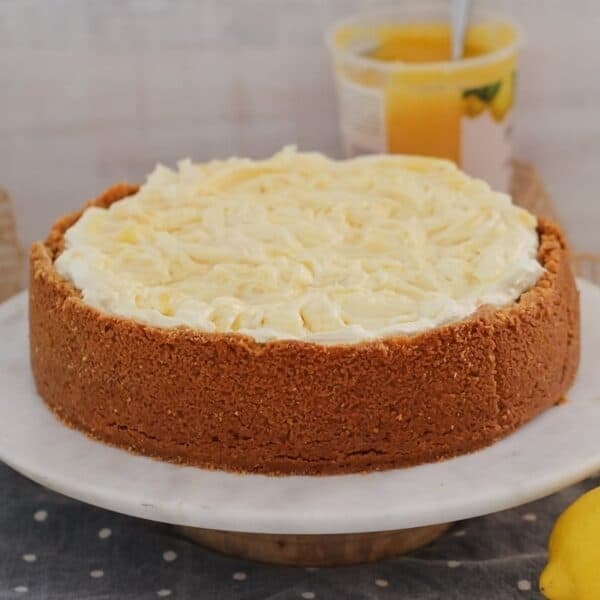 A simple and delicious Thermomix Baked Lemon Cheesecake.. the perfect dessert for any occasion! 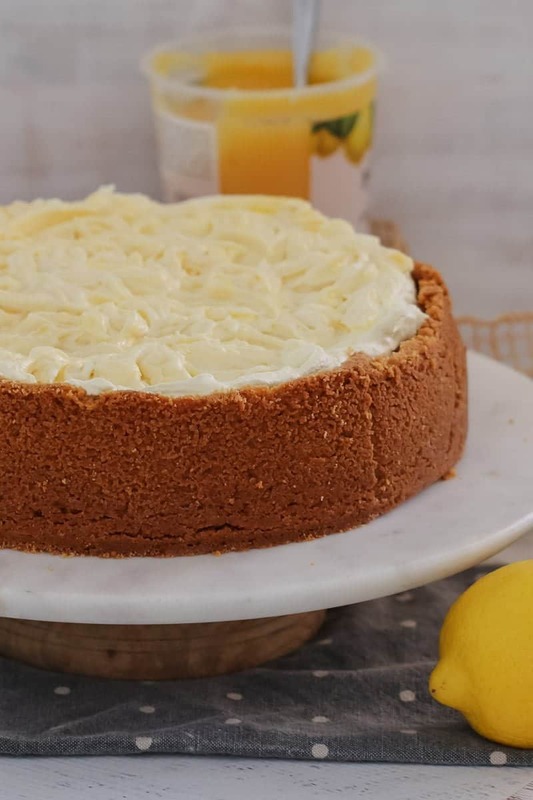 When it comes to delicious desserts, it’s hard to be our Thermomix Baked Lemon Cheesecake. 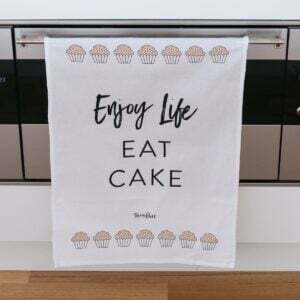 This is certainly a family favourite in our house. 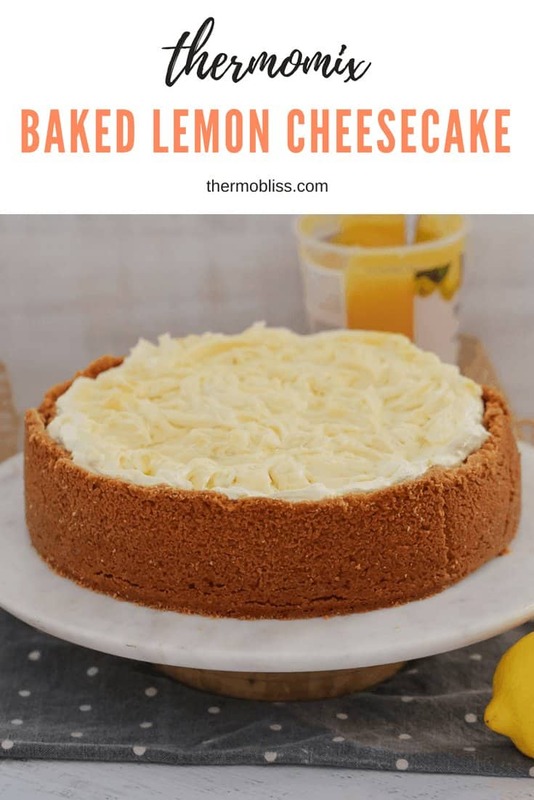 This recipe is a variation on my Classic New York Baked Cheesecake (which is equally as delicious, but has more of a creamy vanilla flavour rather than lemony like this one!). The trick to getting this cheesecake absolutely perfect is to turn off the oven once it’s cooked and leave it in there for 2 hours before transferring to the bench to cool completely. 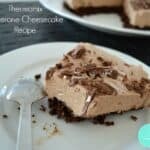 Allowing the cheesecake to cool slowly this way will stop it from sinking or cracking. 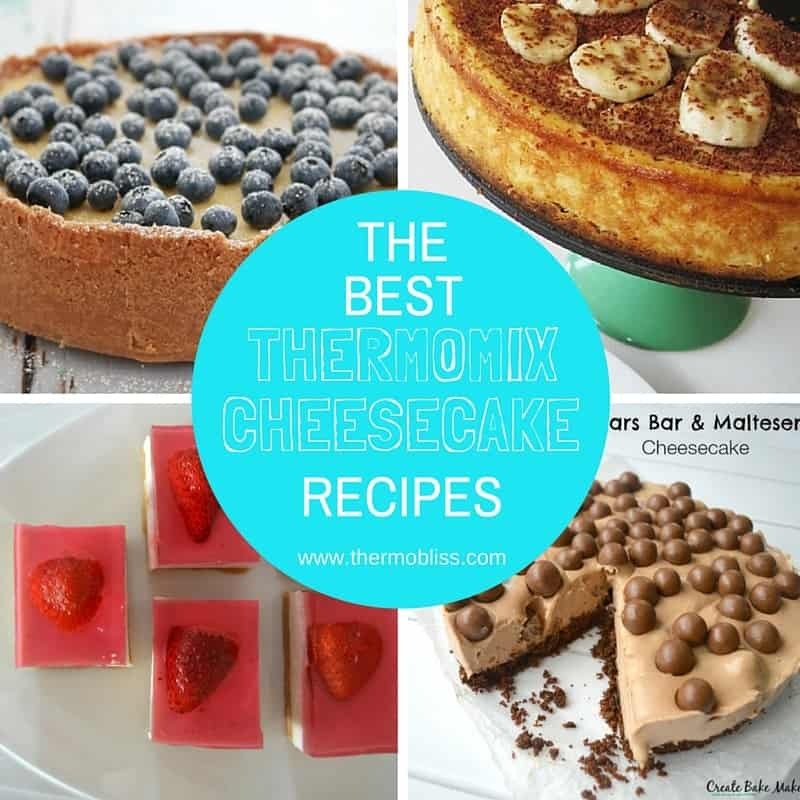 And while we’re talking about cheesecakes… check out our collection of some of our other cheesecake recipes here. 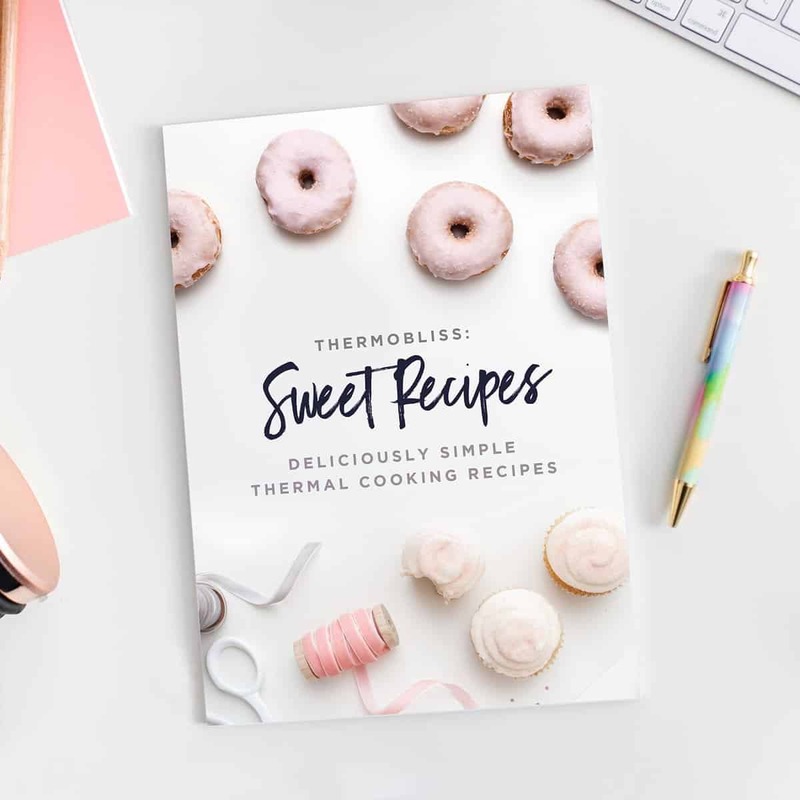 For more yummy baking recipes, check out our Thermomix Sweet Cookbook… now with FREE SHIPPING!! 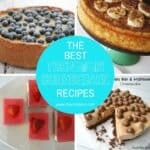 Our cookbook is full of 15 of our very favourite (and most popular!) 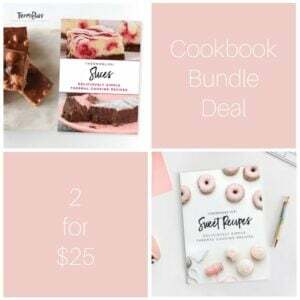 sweet recipes… including biscuits, slices and cakes and also includes a handy conversion chart for commonly used ingredients. Preheat oven to 160°C (140 degrees if using fan-forced). Grease and then line the base and of a 23cm springform pan with non-stick baking paper. Place the butter (chopped) into the Thermomix bowl and melt on Speed 2, 80 degrees, 3 minutes (or until melted). Add the biscuits and mix on Speed 8, 10 seconds or until completely combined. Spoon half of the biscuit crumbs onto the base of the prepared tin. Use a glass to press the mixture town evenly (you will also need to use a spoon to press the edges down firmly). Press the remaining half of the mixture firmly up the sides of the pan (leaving a small 1cm gap near the top). Chill in the fridge for 30 minutes. In a clean and dry Thermomix bowl, set the Thermomix to 37 degrees, 25 minutes, Speed 3. Note: it will NOT take 25 minutes, but by setting it for this long will keep it at the right temperature while you add in the other ingredients). With the blades turning, place the cream cheese into the TM bowl and mix until well combined. Slowly add in the caster sugar, followed by the flour and eggs and mix until just combined. Place the butterfly attachment into the bowl (with the cream cheese mixture in it). Turn onto Speed 3 and slowly add in the grated lemon rind, lemon juice and sour cream. Scrape down the sides of the bowl and mix until completely smooth (don't over mix). Gently pour the cream cheese mixture into the base of the tin. Place the the tin onto a baking tray and bake for 1 1/4 hours. Do not open the oven during the cooking time or the cheesecake will crack and sink. Turn the oven off and leave the cheesecake in the oven, with the door slightly ajar, for 2 hours. Place the cheesecake onto the bench until completely cooled before placing into the fridge (still in the baking tin). 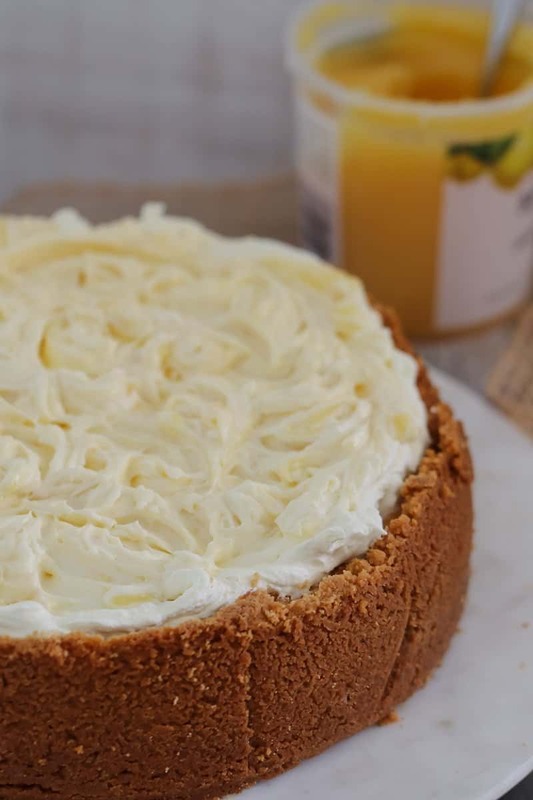 After a minimum of 4 hours in the fridge (preferably overnight), carefully remove the cheesecake from the baking tin and take off the baking paper. 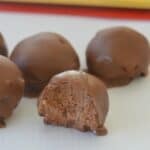 Serve with icing sugar, whipped cream or fresh berries.